Do I Need a 1099-R Form After Using My IRA to Buy a House? You can dip into your IRA without penalty to build your first home. Uncle Sam is watching your IRA. If you take money out too early, you may have to pay a penalty. But you can often claim an exception if you dip into your account to buy or build a first home. Your financial institution will report your withdrawal to the Internal Revenue Service and send you a 1099-R statement just after the end of the year. Check to make sure the information on the form is correct before filing your taxes, otherwise you may end up having to contend with the Internal Revenue Service. Normally when you withdraw money from an IRA before you reach age 59 1/2, you must pay a 10 percent penalty on top of paying income taxes on the amount withdrawn. The penalty applies to the full amount of early distributions from traditional IRAs, including simplified employee pension IRAs and savings incentive match for employees IRAs. With Roth IRAs, the full penalty applies only within five years of opening your first Roth IRA account; afterward the penalty applies only to earnings. To take into account certain financial difficulties you may encounter in your lifetime, the IRS will waive the early distribution penalty in certain situations, including the first-time purchase of a home. To qualify for this exception, neither you nor your spouse can have owned a main home in the two years before buying the new house. The house can be for you or your spouse, or someone related to you or your spouse, including children, grandchildren, parents or grandparents. 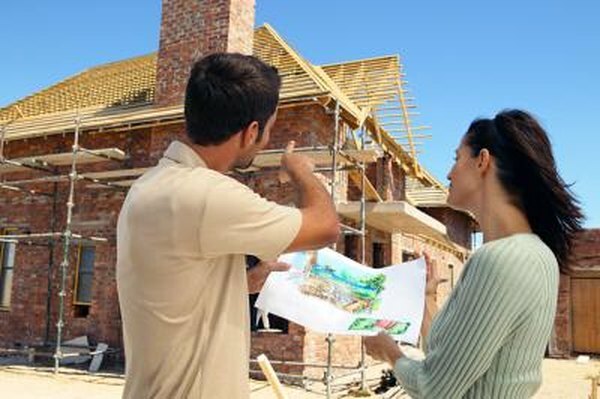 As long as you close the sale or begin construction within 120 days of taking the money from the IRA, you don't have to pay the 10 percent penalty. You and your spouse each have a $10,000 limit for this exception, including money you took out in previous years. When you take the money from your IRA, tell your financial institution you are using the money for a home and plan to claim the exemption. When you get your 1099-R statement after the end of the year, it should contain code "2" in box 7, which tells the IRS the distribution is exempt from the penalty. If the box contains another number, or is blank, contact the institution and ask for a corrected statement. The 1099-R form is informational only. You don't need to attach it to your tax return unless federal income tax was withheld and an amount appears in box 4. If your 1099-R does not contain a "2" in box 7, and you do not have a corrected statement, you will need to fill out Part I of Form 5329 and submit it with your tax return. On this form you will enter exception number "09" on line 2 to indicate the withdrawal was for a first home.